Wing Chun Greensborough Martial Arts conducts a variety of Martial Arts Classes. Classes are conducted in Greensborough, a Northern Suburb of Melbourne. Wing Chun was popularized by the legendary Bruce Lee. Wing Chun Greensborough Martial Arts is a branch of Shaolin Jee Shin Wing Chun. Greensborough Classes are conducted six days per week excluding Fridays. Circuit training Classes are also conducted on the Sundays. Circuit Training is for those interested in Competition to enhance Fitness levels. Learning Concepts, Principles and Theories. Core Muscle Improvement, and much, much more! Develop co ordination and enhance motor skills. Enhance physical and mental strength. Increase balance, build confidence and self esteem. Wing Chun grading held every three months. Beginner and Advanced Grading are split into two days. Wing Chun for Children in Greensborough, teaches Traditional Wing Chun. 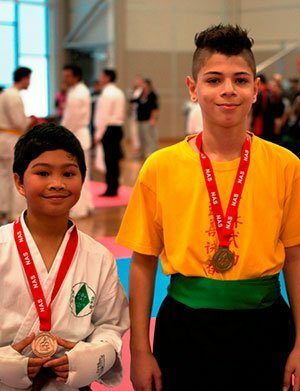 Children’s Martial Arts classes are conducted for Children aged from 8 to 13yr old. Children will develop a sense of accomplishment as they progress at our Wing Chun Academy. Empowerment will help to improve the way Children feel about themselves in the short and long term. These qualities will enable them to improve in all aspects of life. Wing Chun Kung Fu for Children offers the first two wing chun classes for free. This enables a Child to feel his/her way around the Environment. They will experience the Style of Wing Chun Kung Fu that Sifu Garry and Sifu Linda Teach. Sifu Garry and Sifu Linda have over 50 years of traditional Wing Chun Kung fu. Medical Qigong Practice will assist in relieving and healing a variety of ailments and disease. Medical Qigong is a "wonder drug". "Effort" is commitment and effort is required to achieve results. 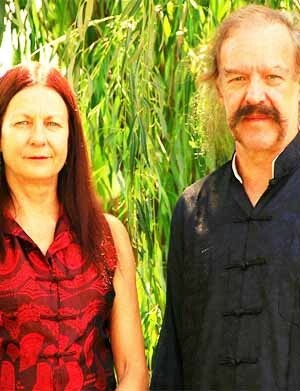 Sifu Garry and Sifu Linda from Shaolin Jee Shin Wing Chun have extensive knowledge in Qigong Healing. They studied with three Qigong Master, the last Master being Shaolin Temple Certified. Sifu Garry and Sifu Linda spent 9 years with him. They studied Tuina Deep Tissue Chinese Massage, Pressure Point location and Tai Chi. Sifu Garry and Sifu Linda conduct Medical Qigong Classes in Greensborough. Classes are held on Wednesday Evenings from 7.30pm to 8.30pm. There are 4 four 8 week workshops during the Year. Workshops cover various breathing exercises, self healing and meditative techniques. Qigong will help the Individual make positive changes to their Lives, increasing Health and Longevity. The Martial Arts Industry is one of the fastest growing Industries in the World Today! Give yourself a competitive edge with a Nationally Recognized qualification. The Courses are designed especially for the Martial Arts Industry. Martial Arts Sports Coaching will provide the necessary Martial skills and Industry Standard knowledge. Sifu Garry and Sifu Linda have been involved with Wing Chun Kung Fu since 1986. Do you want to become an Accredited Martial Arts Teacher. 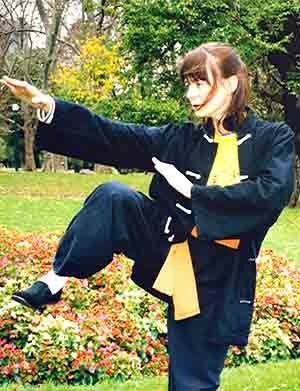 You will qualify to specialize in Wing Chun Kung Fu, Fitness and Sports Coaching. Then, Shaolin Jee Shin Wing Chun Association will assist you to achieve your Goals. Martial Arts Sports Coaching Courses can be studied in conjunction with your Martial Arts Training,. 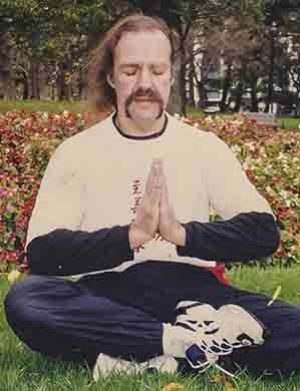 Medical Qigong and Tai Chi can also be incorporated into you studies if one is interested. If interested, please go to Martial Arts Sports Coaching Web Page and register your interest by clicking on the "apply now" link. Scroll down the page until you come across the link, or ring Sifu Garry 0401 530 643. Are you interested in learning an effective, devastating, but practical self defence system. You may want to enhance motor skills, fitness, balance and coordination and develop your self defence skills. Wing Chun Kung Fu for Children teaches Traditional Wing Chun in Greensborough, a northern suburb of Melbourne. Are you interested in seeing your Child / Children develop leadership qualities. Qigong is an ancient Chinese natural therapy for the body, mind and spirit. Practising Qigong will teach you to control stress, reduce anxiety, increase energy levels, strengthen your heart function and reduce pain. The Martial Arts Industry is one of the fastest growing Industries in the World, Today! Give yourself a competitive edge with a Nationally Recognized qualification designed especially for the Martial Arts Industry.